Did you ever pick the petals off of a flower to find out if someone liked you? (He loves me, he loves me not … ) Or have you ever asked the universe for a sign — deciding if the next stoplight was green, you’d say yes to something, and if red, no? This is similar to the ancient practice of sortilege or drawing lots for the purpose of answering questions. We use Tarot cards in a similar way. Though the Tarot had its origins in the secular world, scholars and cartomancers eventually found ways to ascribe meaning to the cards. The art of sortilege for the purpose of divination was one way the Tarot took on deeper esoteric meaning as early as the fifteenth century. By the 18th century, systems for using the cards specifically for divination were in place. 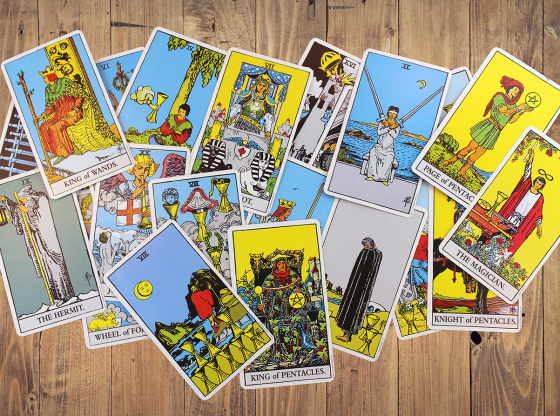 Decks typically included the four suits and their court cards, and a version of trumps, or the Major Arcana. 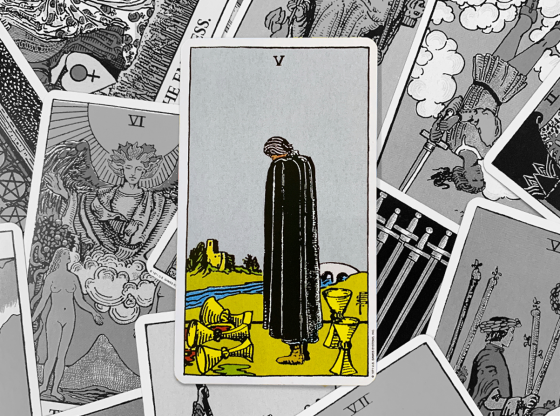 Learning the history of the Tarot is one way to become more intimate with the cards themselves. 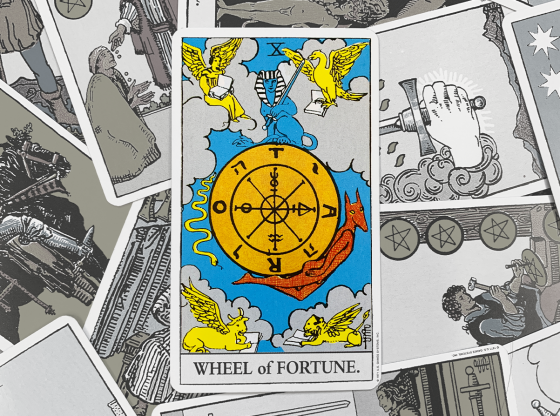 The Tarot has a rich mythology but began with humble origins as a game for gambling. The games of Bridge, Whist, Pinochle, and even Spades or Hearts can all link back to the ancient trick-taking games played by Europeans, Persians, and the Chinese. 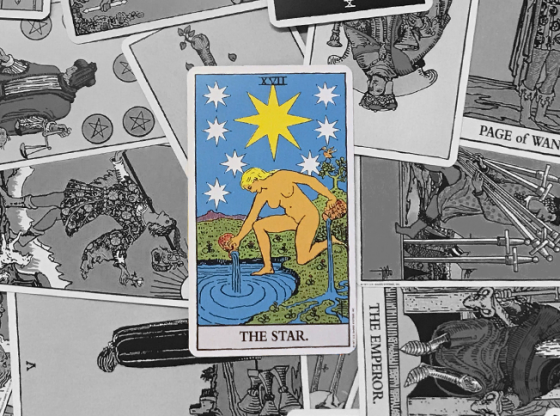 Both the secular and occult associations of the cards contribute to how they work: All of these uses create the symbols of the collective unconscious that we divine with when we read the cards. 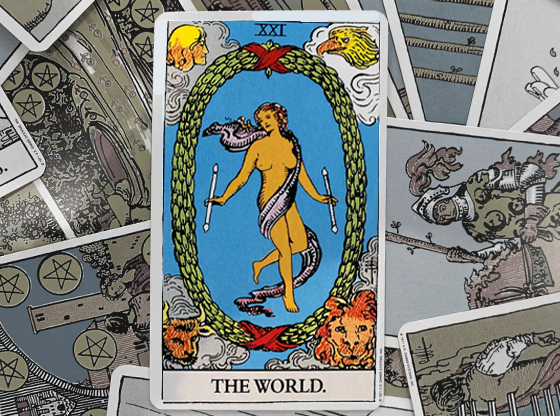 Much has been written about the origin of the Tarot. Most scholars agree that the original decks of cards included four suits of 13 cards each. Suits have been as varied as Herons, Hounds, Falcons, and Falcon Lures, to Roses, Hawkbells, Leaves, and Acorns in early North European decks. French decks sported Hearts, Clover Leaves, Pikes, and Paving Tiles. In 1980, Oxford professor Michael Dummett found that the French and German playing cards evolved from older Italian and Spanish decks. These decks had suits of Cups, Coins, Swords, and Batons. Dummett also proposed that these decks had, in turn, originated from even older cards of the Islamic Near East. Popular theories about the origin of the suit cards suggested a variety of meanings for the suits. The symbols perhaps represented the social structure of the Middle Ages or were linked to Celtic mythology and the Grail legend. The symbols of the Mamluk Deck — an Islamic pack found in Egypt — were related to marks of distinction within the social hierarchy of that culture. The emblems of Cups, Coins, Swords, and Polo Sticks related to functions performed for the sultan. 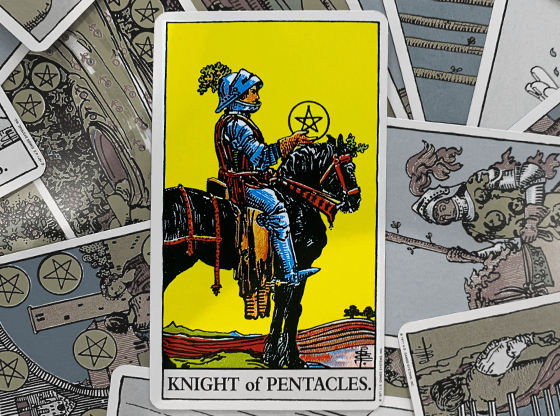 Still other Tarot scholars link the four suits to the all-important four Cardinal Virtues of Wisdom (Prudence), Justice, Temperance (Restraint), and Bravery (Fortitude). The symbols associated with these virtues in classical times were the mirror, or coin, of Wisdom, the cup of Temperance, the sword of Justice, and the rod of Strength. We can look even further back to the four castes of ancient Persia, which included the Magi (Batons), Kings/Warriors (Swords), Farmers and Artisans (Cups), and the Serving class (Coins). Still other historians follow the theory that the suits were related to the four elements of Earth, Air, Fire, and Water — with the later Trumps encompassing the etheric fifth element of the unseen and mysterious. This suit, commonly associated with the element of Earth and the Cardinal Virtue of Wisdom, represents all the earthly, tangible things of our working world. It refers to literal money, earnings, power, and skillful labor. Of all the suits, it is the most practical, and when Coins show up in a reading, we know that we’re looking at energies to be made manifest. Coins are feminine in nature, with wisdom based on practical knowledge, and embody hard work, perseverance, and steady movement or even stillness. Knowing the relationship of this suit to the working and serving classes, to the people who literally were the “salt of the earth,” helps me to connect to the ideas of work, skill, and building that these cards suggest. Associated with the element of Water and the Cardinal Virtue of Temperance, Cups represent the emotional realm, including sexuality, femininity, pleasure, love, and family. Psychic ability and sensitivity are also represented by this suit, where the cup was a vessel used for scrying.They are also associated with creativity and artistry. When I see Cups in a reading, I understand that I’m dealing with the artistic, creative, emotional element of the question. Cups are feminine in nature. I like thinking of the ancient artisans relying on inspiration to craft the original Tarot, or the farmer, working with the vessel of the earth, to bring forth life. Often viewed with the most trepidation, the Swords represent the element of Air, the Cardinal Virtue of Justice, and the ancient noble classes who bore arms. Inherent in the Swords are the concepts of discernment, thinking, and judgment. The sword is a literal tool to cut the ties that bind and a representation of the sword of the intellect. 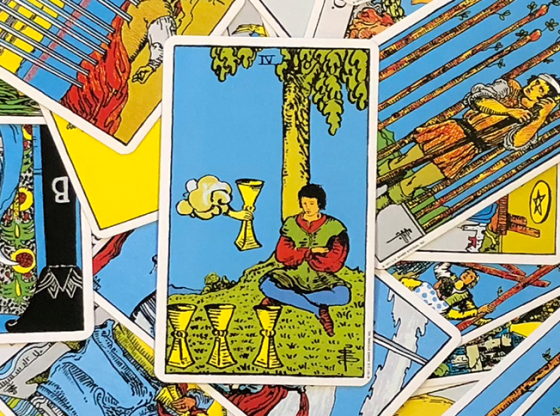 When Swords, masculine in nature, show up in a reading, the issue usually contains some distorted thinking, self-deception, and a need to call upon our intellectual mind. 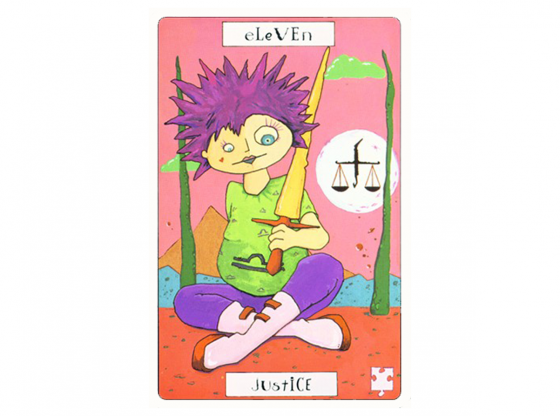 This suit does contain some of the most challenging cards but is always a truth-teller about our state of mind. Kings and warriors often had to make tough, quick judgments that allowed no room for emotion, and this detachment was necessary to temper feelings not founded in logic. Here is the symbol of the magician and high priest(ess). Symbolic of the Cardinal Virtue Strength, this masculine suit is related to the will, spirit, and courage. That Persian Polo Stick was used as a metaphor for the Absolute’s game of will with humans. 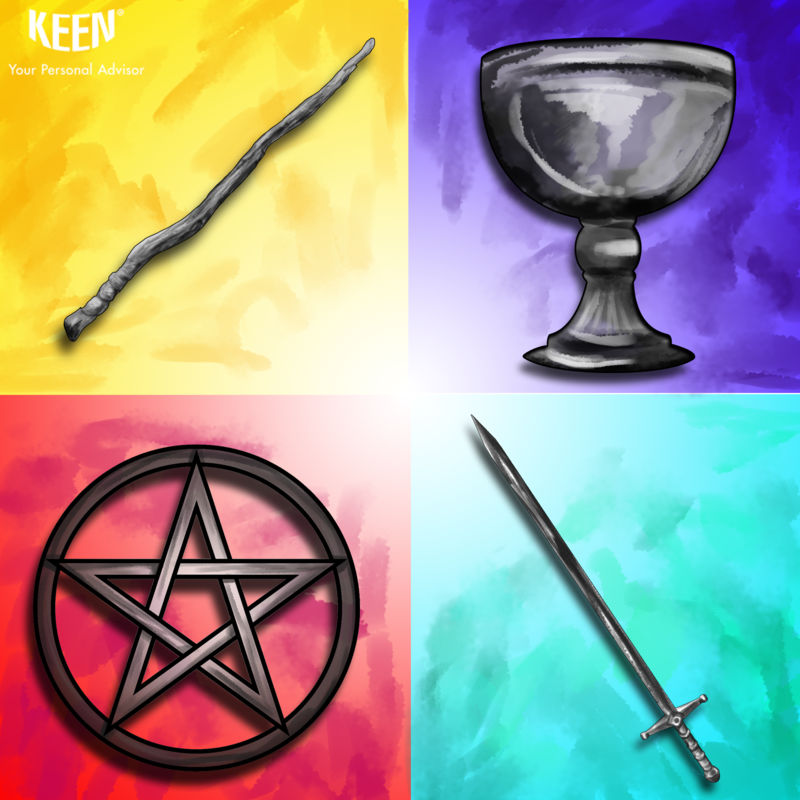 Wands also denote creativity but that which comes from the fire of spirit and will, rather than emotion. When Wands arise in a reading, I know that there is a need for action, for the fire of the Spirit to engage in the question. The Magi of old were responsible for the spiritual well-being of their subjects, infusing the spiritual into the realm of the secular. 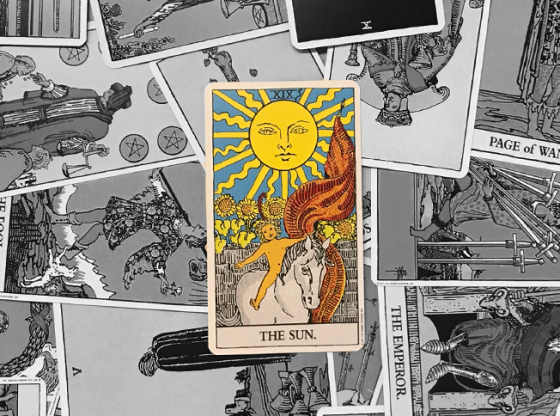 Though the history of the Tarot is often shadowy and much debated, knowing a little of where this magical art comes from makes me feel that I am connecting with those first artisans, gamblers, and later, occultists who allowed the Tarot to evolve into the tool it is today. Every aspect of ancient symbology and purpose populate the collective unconscious from where I, as an intuitive, draw my wisdom to interpret the cards. 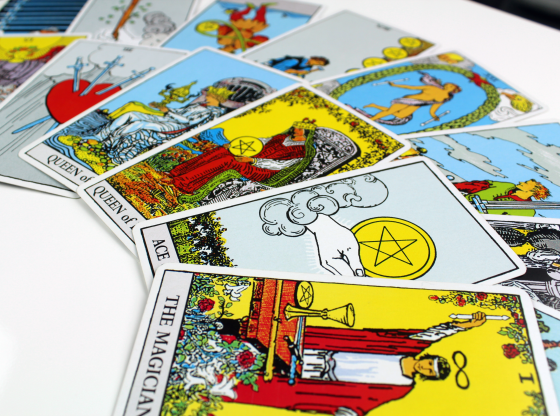 Knowing the history of Tarot cards can enhance your connection with them. To learn more or to get a Tarot reading, reach out to an advisor on Keen today. Your Psychic Just Gave You Bad News. Now What?